Eggs!, originally uploaded by Tygriss. 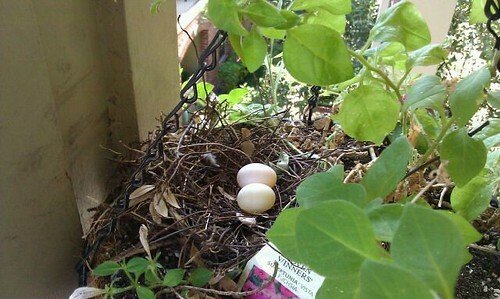 Mourning Doves have nested in our hanging pot again!! We have another two eggs! I think next spring I will be setting out more planters for them. I'm worried the wind might blow the basket around a bit and the eggs could fall.